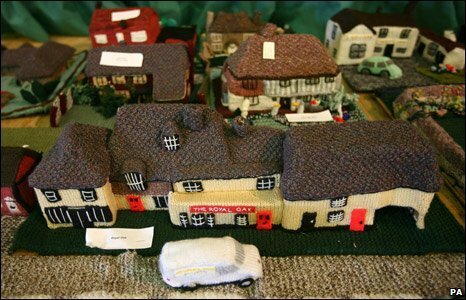 The knitted replica of the village of Mersham, near Ashford, was created by the 40-strong Afternoon Club. 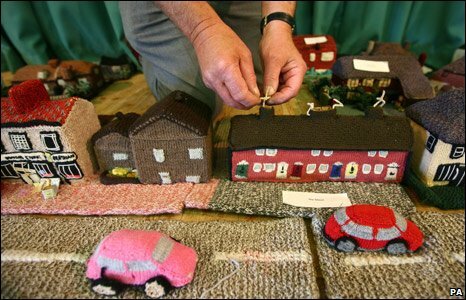 The model, which was made over a 23-year period, includes all facets of village life, including sport. 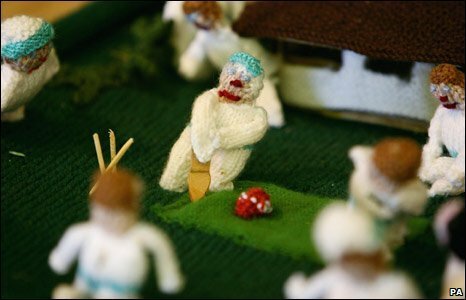 Pictures and cardboard templates of the properties and objects were used by the club to help them immortalise Mersham in wool. 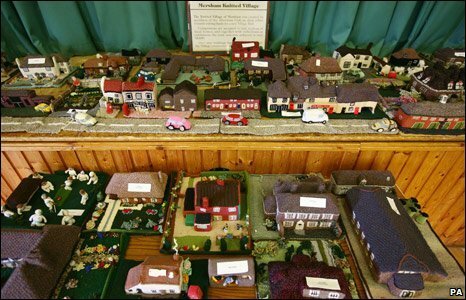 The village was created complete with flowers in the gardens and cars on the roads to capture a slice of community life. 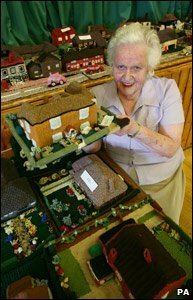 Afternoon Club member, 80-year-old Margaret Goldup said the village had given so much pleasure to the people who had made it. 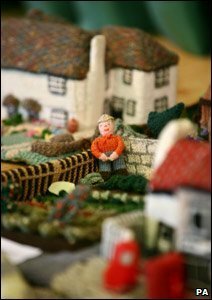 The knitted village will be sold off piece by piece in May with all proceeds going towards the local hall.